Ever since LeBron left the only thing significant about Cleveland is the Indie Gathering. 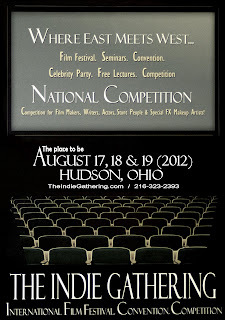 The Indie Gathering is a local affiliate of independent grassroots film groups across the country, linked by the online world. Normally the Indie Gathering has small monthly meet-and-greets around the Cleveland area (shoutout to Li Wah Chinese restaurant! ), but every year there's a big Indie-Gathering jamboree, and that's what's in the cue cards August 17, 18 and 19 at the Clarion Inn and Conference Center, 240 Hines Hill Road in Hudson (right off the I-271 freeway exit; you can't miss it). The Indie Gathering features three days of film screenings, panel discussions, workshops and networking parties, featuring both local would-be Spielbergs and out-of-town visitors, who have made cinema their hobby, obsession and occupation. Special topics - and contests - include stunts, soundtrack composing and effects makeup. Guests include longtime actor, writer and musician Robert Z'Dar; internationally known Cleveland filmmaker and cinematographer Robert Banks; Ohio-based director, producer and f/x artist Robert Kurtzman (soon to open his own film school the Kurtzman Institute of Art); Parma actress Annie Kitral, who has appeared in everything from WELCOME TO COLLINWOOD to the "X Files" TV show; Alan Tuskes, a makeup artist who has contribute f/x to KILL BILL, AUSTIN POWERS IN GOLDMEMBER, SPY KIDS and more; local B- and cult-moviemaker Joe Ostrica (whose Old School Sinema productions get lots of coverage on this blog) and others. The Indie Gathering is coordinated by Johnny Wu, a hardworking Cleveland filmmaker, and Ray Szuch, the leader of a west-side martial-arts school who got into corralling his well-trained students and athletes as stuntmen/extras for local productions. Now Ray is a go-to guy and all-around enabler for scores of regional and visiting filmmakers. The Indie Gathering showcases them, whether it be student work or the weekend horror-slasher efforts put together by guys working in a grocery-chain warehouse in Strongsville. Networking parties allow spectators to join the filmmaking culture, as potential crew, possible actor or even writer, director or producer. Admission for each day at the Indie Gathering is $15 Friday and $20 either Saturday or Sunday. One can purchase a weekend pass for $45, a Saturday-Sunday blanket admission for $30. Attending individual film screenings is $7. 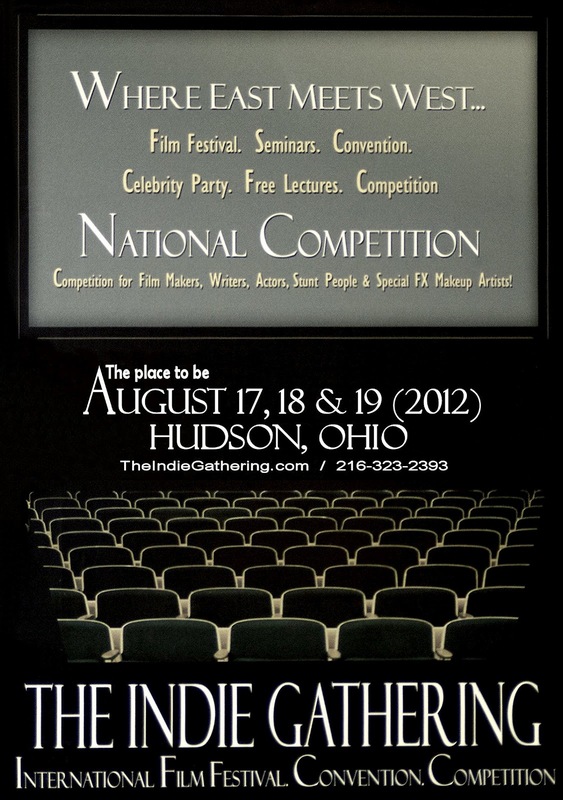 For more information, a full film schedule, and a list of guests and production companies involved, go online to www.theindiegathering.com.